Is your business planning to install commercial granite countertops in Maryland, Northern Virginia, Washington, DC and the neighboring areas? Granite has led the countertop industry for years, highly acclaimed for it’s distinctive natural stone appearance and durability. Show customers you mean business with professional granite countertops that enhance the whole atmosphere. Keep reading to learn more about why you should install granite countertops and our experience with commercial fabrication and installation. Ready to speak with our installation team or receive a FREE estimate? Just give us a call today at 410-712-0601 or click below to contact us online now! Well known for it’s striking appearance, granite is also the most durable natural stone material when it comes to countertops. The distinguishing patterns of granite appeal to businesses, along with the fact that each slab is 100% unique and inimitable. Business countertops require slightly more durability than homes, enduring the wear of customers coming and going throughout the years. Granite is scratch resistant and holds up well to heat, ideal for commercial bars and commercial kitchens. Even commercial bathrooms will see their fare share of traffic, making this an ideal area for granite. One fact to note is that granite is a porous material, which simply means surfaces need to be sealed to prevent stains. Sealants also increase granite’s resilience to scratching and cracking. Our commercial customers come in all shapes and sizes, providing us experience fabricating and installing custom countertops of all dimensions. From commercial bar countertops to office reception desks, our team has a wealth of industry knowledge to bring to the table. If you are a commercial contractor interested in wholesale, or if you’re working with a contractor on a remodeling project, Express Countertops is here to make your day less stressful. We’re experienced with commercial countertop installation and work with contractors on a regular basis. But what makes us the best countertop company to work with? Your job will be easier. 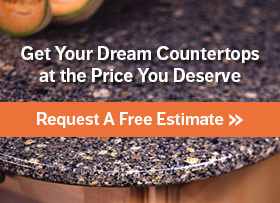 You don’t need to look any further for an experienced, reputable fabricator for your commercial granite countertops – just call Express Countertops! Click here if you are a contractor. If you’re ready for a free estimate or have more questions for our installation team, call us today at 410-712-0601. You can also click here to complete our online request form. Express Countertops is your premier countertop fabrication and installation team, serving residential and commercial customers in Maryland, Northern Virginia and Washington, DC. Our talented team is well versed in the countertop industry, translating to superior service for your business. Call us today to get started!